According to Mike Puma of the NY Post, the Mets are working hard to land one or multiple relievers to strengthen the bullpen. Right now, the Mets bullpen consists of Juerys Familia, AJ Ramos, & left handed pitcher Jerry Blevins, each holding a spot on the team’s 25 man roster. And as of now, according to industry sources, the Mets would love to get their hands on the former Cleveland Indians reliever. Shaw makes a ton of sense for the Mets since he’s spent the last 5 years with new manager Mickey Callaway. Callaway served as Tito Francona’s pitching coach with the Indians. 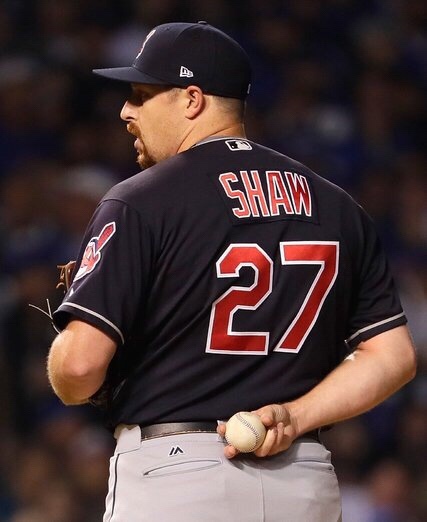 Shaw has a lot of innings taxed on his arm, he’s led the American League in appearances in 3 out of the last 4 seasons so that’s definitely something to consider if he’s seeking a deal for more then 2 years. Last season, Shaw appeared in 79 games with a 4-6 win/loss record, 3.52 ERA & a 1.21 WHIP. Next Should the Mets go all in for Machado?